How to Become Immortal: Peter Thiel's "Fight Against Death"
Subject: How to Become Immortal: Peter Thiel's "Fight Against Death"
6 + = 15 Required Please enter the correct value. Who hasn't thought about how to become immortal? The age-old question has been asked across cultures since the beginning of recorded history. Chinese texts reference the "Mushroom of Immortality" as early as 475 BCE. In 17th century Europe, French alchemist Nicholas Flamel legendarily created the Philosopher's Stone. To date, some of our most memorable pop culture revels in the question, from Indiana Jones's Holy Grail to Harry Potter's Horcruxes. Of course, cracking immortality continues to elude humanity. Take, for example, billionaire tech entrepreneur Peter Thiel, who wants to change the world through technology. "I've always had this really strong sense that death was a terrible, terrible thing. Most people are in some weird mode of denial and acceptance about death, but they both have the result of making you very passive. I prefer to fight it." Forty-seven-year-old Thiel is worth an estimated $2.2 billion. He amassed the fortune through independent, moonshot thinking. "If you think you can only do very little and be very incremental, then you'll work only on very incremental things. It's self-fulfilling," Thiel told The Washington Post on April 4. "It's those who have an optimism about what can be done that will shape the future." Thiel cofounded PayPal Inc. in 1998. At the time, few people had smartphones, and even fewer felt comfortable making payments online. But just four years later, eBay Inc. (Nasdaq: EBAY) snapped up the lucrative business for $1.5 billion. "We had these T-shirts at PayPal that said 'We're going to be the new currency of the world.' We failed to do that. 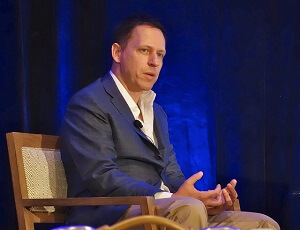 But we created a new payment system," Thiel said on Oct. 7 at the Venture Alpha West conference. This year, the mobile payments industry is expected to reach $670 billion. Eleven years ago, right after he sold PayPal, Thiel made his next project very clear: cheating death. That's when Thiel met Aubrey de Grey, a British computer scientist turned theoretician who believes medical advances will stop aging, and Cynthia Kenyon, a molecular biologist who figured out how to double the life span of a roundworm by disabling a gene. He cut them checks to continue their longevity research. In fact, to date Thiel has contributed $3.5 million to de Grey's anti-aging non-profit Methuselah Foundation. Its mission is to find drugs that cure seven types of age-related damage: "Loss of cells, excessive cell division, inadequate cell death, garbage inside the cell, garbage outside the cell, mutations in the mitochondria, and crosslinking of the extracellular matrix… if we can restore that structure — at the molecular and cellular level — then we will restore function too, so we will have comprehensively rejuvenated the body." And Thiel is using his nonprofit, Breakout Labs, to fund dozens of other scientists working toward the goal of immortality. So far, he's given 22 startups anywhere from $50,000 to $350,000. Thiel's entrepreneurial vision doesn't stop at PayPal. Thiel also saw potential in Facebook Inc. (Nasdaq: FB) and in Airbnb. He forked over $500,000 to Facebook founder Mark Zuckerberg in 2004. When FB went public in May 2012, Thiel's shares were worth more than $500 million. Airbnb has yet to go public, but the company is currently valued at a whopping $24 billion. In an April 3 interview with The Washington Post, Thiel said, "I've always had this really strong sense that death was a terrible, terrible thing. Most people are in some weird mode of denial and acceptance about death, but they both have the result of making you very passive. I prefer to fight it." He went on to say "evolution is a true account of nature, but I think we should try to escape it or transcend it in our society." Peter Thiel said he wants to live to be 120 years old. Larry Ellison, co-founder of Oracle Corp. (NYSE: ORCL), finds accepting mortality "incomprehensible." Google Inc. (Nasdaq: GOOG, GOOGL) cofounders Sergey Brin and Larry Page hope we'll one day "cure death." Ellison has donated more than $430 million to anti-aging research. "Death has never made any sense to me. How can a person be there and then just vanish, just not be there?" he told biographer Mike Wilson, who published The Difference Between God and Larry Ellison *God Doesn't Think He's Larry Ellison in November 2003. Sergey Brin and Larry Page invested $750 million to launch a genomics company called Calico. Its goal: to cure aging. "I have a better guess than almost anyone else for what ills may be mine — and I have decades to prepare for it," Brin wrote in his personal blog in September 2008. A gene therapy treatment is already in advanced clinical trials at Stanford University. In the most recent clinical trial (released January 2015), the treatment was able to reverse the biological age of 60-year-old human skin and muscle cells by 25 years. After just a "few days of treatment," the cells became indistinguishable from those of a 35-year-old. Across the coast, Harvard doctors activated the same immortality gene in mice. It extended their average life span from two years to almost four years. This treatment could be available in as little as 24 months. The Stanford and Harvard teams, along with their colleagues in anti-aging research, are still debating whether these treatments will add on to the human life span. But what is abundantly clear is the field of human medicine is going to be dramatically different over the next few years. You see, the anti-aging market is projected to hit $345.8 billion a year by 2018. That means investors who play this trend right will reap so much profit that they'll be able to try the gene therapy treatment once it becomes available — for free. And Money Morning Tech Specialist Michael A. Robinson, a 35-year Silicon Valley veteran and one of the top technology financial analysts in the country, has just the investment in mind. "In these early stages, it's easily one of the hottest investments in the market today," Robinson said in May. "Getting in right now could deliver not two times, not five times, but as much as 12 times your money, and that could be a conservative estimate." Follow us on Twitter at @moneymorning. Before you want to become immortal…. get real sell your 4 wheel chariot ride a bicycle to work. reduce your caloric intake 30 % and become totally honest. Dumbest, most selfish idea ever. And it won't work. We have a "use by date" for a reason. Wrap it up, everyone. Richard says it's dumb, selfish and won't work. You heard it here, first. This is an intriguing field of research. I knew Page and Brin started calico, but I had no idea Thiel and the CEO of Oracle were working on the same issue as well. I feel much better about my future now, with such great minds applied to the task. I wish them only success in this endeavor. Peter, Peter, Peter . . . death is NOT a terrible thing. 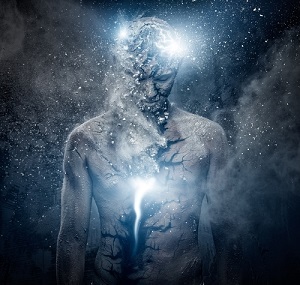 We live in a quantum universe, where time is not linear, space is more than 3 dimensional, and our existence is not confined to a single universe, nor is it limited by death. It's our puny perceptions which limit us, and which make death seem like a terrible thing. Relax – We Humans can become Immortal in less than a month and live for thousands of years – I got the Key to Immortality – Staying Absolutely Healthy All The Time, for Infinite Health = Immortality (8,500 years guaranteed) – Everybody can become Immune To Any Diseases – By doing my Discovery (just an exercise for a minute a day), that cures and prevents any Diseases, known on Earth, even Aging and Radiation Disease, for every cell of our bodies is shielded 100% from any external/internal (genetic) detrimental impact – I will describe my Discovery to everyone, who sends me an E-check for one million US Dollars (money can be negotiated) – In less than a month everybody will become Infinitely Healthy, Radiation-Proof (fit for deep space missions) and Immortal – Like the Gods who created us humans.